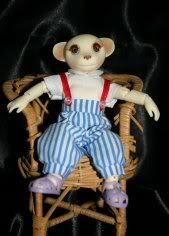 next my Bobo mouse who thinks she is Monroe! and my little ars gratis artis (not sure if thats right?) chihuahua! Oh my gosh, they are cute!!!!!!!!!!! I don't have any critters yet, need to get one!!! Amazing. I love the centaur. I do need to get some critters, I think! Here are my three. 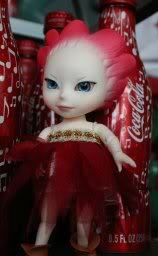 I would love to get another Flower Elf, but there are a few Elfdoll tinies that I want to add first. My first animal, a DollZone bunny. His face up is by me. My first so please be kind, lol. My latest, an Elfdoll Flower Elf named Rosie in honor of my first Scottish Terrier named Rosie. Here she is at the Epcot Flower & Garden Show. Those are all so cute! I only have a Baja Kitty and Socks (also from IDEX!) for animal bjd's. I love that centaur!!! Everyone's critters are soooo cute!! My first one was Baha Kitty. I love cats so when Baha came out, I just had to have her. Here is a pic of my animals. 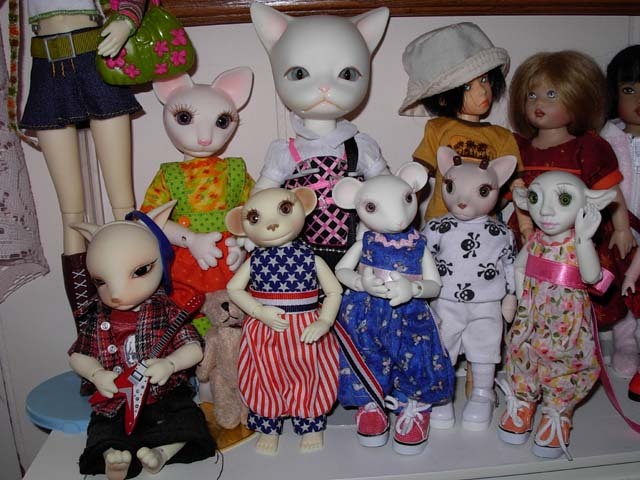 Also in there is the Dollzone fox, the rest are Goodreau critters, Cheshire cat, Socks, Twinkle, Merlin and my house elf (gnome)Happy. 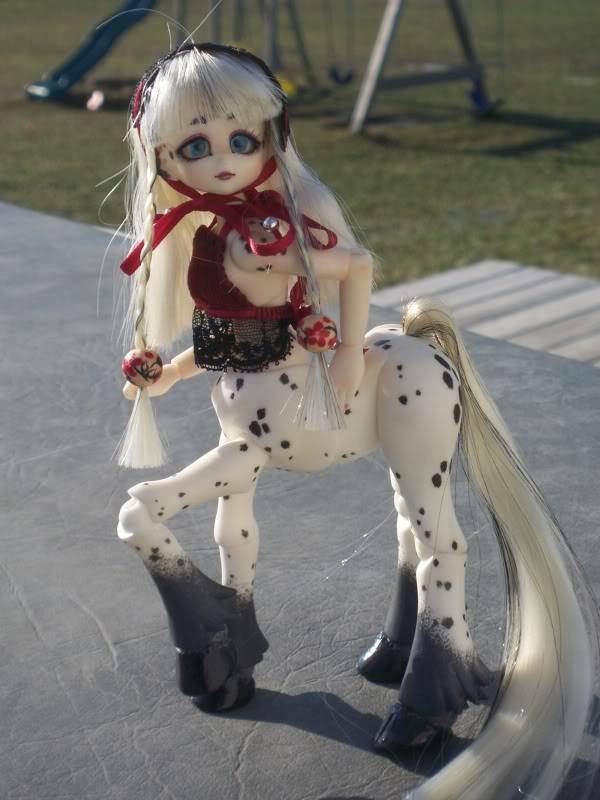 I guess you can count Pukisha as an animal BJD, so here is my Little Fee Ante Pukisha and my Puki Pukisha. Gracie, I just love your Flower Elf. I saw the little Flower Seed (I think her name is Sissy?) and that was the first I had seen of the Flower Elves, and I have been sorely tempted since then! Gale, Pukisha is adorable! Is she a cat? How do the ears work on the Little Fee? Are they always attached, and then the wig goes around the ears? She's so cute! And then--look at the crowd of critters you've got! How fun!! I've been tempted by the Goodreau critters. I just got my very first 8" Goodreau (and just ordered my first 5" Goodreau), but both with human faces. I may have to branch off into to the "critters" department also. 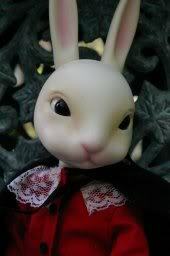 If I truly have an Alice in Wonderland collection, I probably need both a White Rabbit and a Cheshire Cat!! Gracie, The Puki Pukisha ears, hands and feet are held on by magnets, so the ears just sit right on top of the wig, the face plates are also magnetized so they are very easily changed. The Little Fees are the same. I just love this system. oh I have to get a twinkles deer for kylie for her day coming in July! she saw it at idex so thats my plan! and i love the puki kittys! weegale what is the black wig on yours I am looking for one like that! if anyone has a puki Lily black wig to sell let me know! I bought that black wig that is on my Pukisha at the BJD con last September along with a few others. I have no idea who makes it.